A group of young designers and engineers, leaded by CEO Claudia Linares are developing the world´s first social and smart robot specifically designed to help parents take care of their kids. 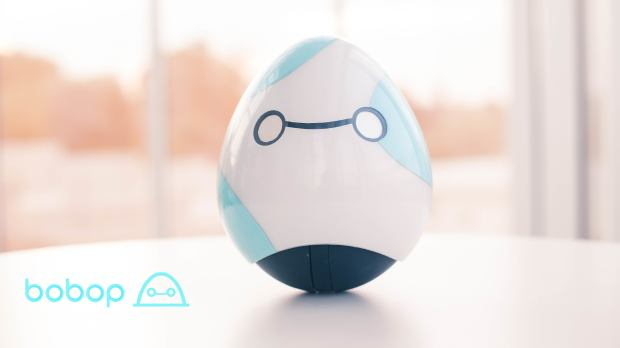 BOBOP is the first smart and social robot specifically designed to help parents take care of their children. BOBOP is the first product of the WATOTO company, founded in 2016 and leaded by CEO Claudia Linares. The company is focused on designing and developing technological products that will improve the life of parents and children. “From the beginning we wanted to impact society in a real way, and use technology to make the world a better place. During our university studies we were in a school project exchanging stories and anecdotes, we found that many of our relatives had accidents at home during childhood, some of them potentially fatal, and by researching a little bit about the subject we found that the number of deaths of children from ages 0 to 5 represents 10% of all deaths in the world. Most of these deaths are preventable home accidents. This is why we developed BOBOP, and we think that if BOBOP is able to prevent even one accident, then the whole project is worth it,” said WATOTO CEO Claudia Linares. BOBOP is able to follow kids and watch them from anywhere, parents can relax and see what they are up to through his integrated HD camera from a smartphone. BOBOP can help kids reach their maximum potential, with the ever-growing number of activities that he can play with kids. These activities are not only fun but are designed to stimulate core aspects of children´s early development. BOBOP also has the ability to monitor kids‘ health data, such as breathing rate, sleep cycles, temperature and time spent playing together, if something is out of the ordinary BOBOP will send an alarm. BOBOP can configure several alarms that will help remember important moments during the day, such as playtime, eating time, nap time or medicine time. BOBOP helps to keep your children safe. Thanks to its beacon system you can know if your kids are near a room that it´s not suitable for them. BOBOP has been slowly gaining some traction on the media. Presenting itself as the first smart and social robot specifically designed to take care of kids. WATOTO is live on indiegogo, if you are interested in the project visit their website http://www.bobop.io or go to their indiegogo website igg.me/at/bobop, if you subscribe now you can get a big discount. Dieser Eintrag wurde veröffentlicht in Crowdfunding, Education & Studies, English, General und verschlagwortet mit BOBOP, IndieGoGo, Kids Monitor Robot, WATOTO von Sebastian Trella. Permanenter Link zum Eintrag.